METHUEN — Mayor James P. Jajuga and Police Chief Joseph Solomon report that the Methuen Police Department arrested three juveniles and seized a handgun and ammunition after officers responded Tuesday to a citizen report of suspicious activity. The suspects were found in possession of credit cards and identification cards reported stolen from a inside a Haverhill resident’s motor vehicle. As a result of the on-scene investigation, a 16-YEAR-OLD MALE FROM METHUEN, and 16-YEAR-OLD and 17-YEAR-OLD MALES FROM LAWRENCE were arrested. 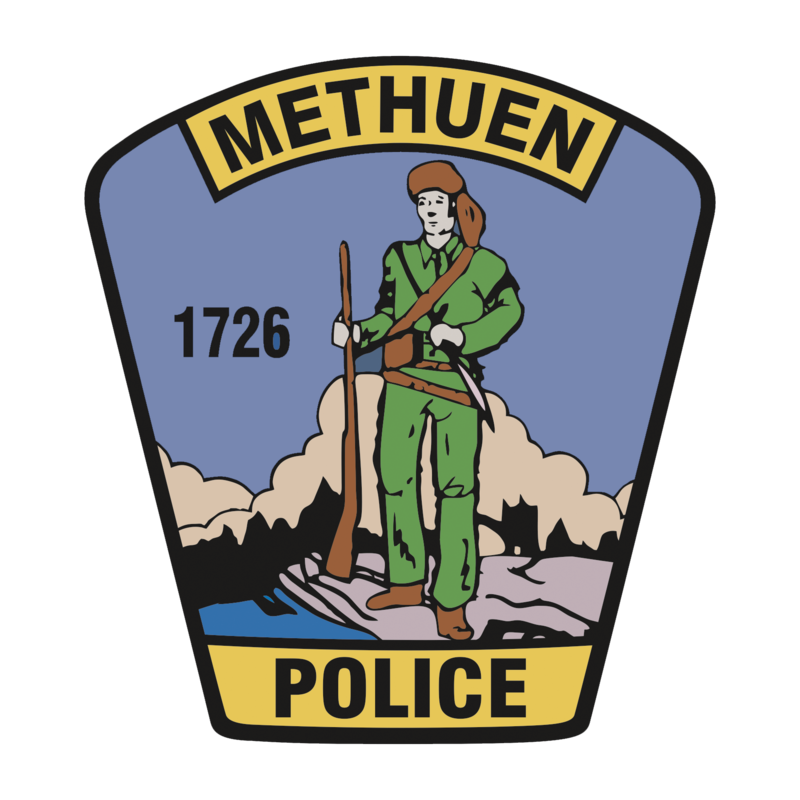 A Methuen Police officer was dispatched to a location on Monterey Drive at 10:20 a.m. for a report of suspicious activity — the caller reported three males in a motor vehicle with New Hampshire plates parked outside a residence while the homeowner was not home. The first arriving officer noticed that three males were asleep or unconscious in the vehicle. The operator, upon rousing, refused to provide his name or identification to the officer, which is a crime. The operator was later identified as the METHUEN JUVENILE. The driver was detained, and additional officers were requested to the scene. During the investigation, an officer observed a firearm in the passenger seat-back pocket. As the officer was attempting to info the other police on scene, the driver fled on foot. One of the passengers attempted to run but quickly surrendered, but the second passenger then fled on foot toward Woodburn Drive. Both fleeing suspects were found by officers shortly afterward. A 9 mm bullet was found in possession of the driver, but since none of the boys claimed ownership of the firearm, all three were charged. This suspect also had an outstanding arrest warrant from another jurisdiction. Methuen Police are working with Haverhill Police, and additional charges regarding the stolen property may be forthcoming. Mayor Jajuga praised the work of the officers on scene. Always lock all car doors. Roll up windows and close sunroofs. Never leave loose electronics in plain view. Not leave money in your car or loose change in plain view. The suspects were ordered held in custody for at least 90 days during arraignment at Lawrence Juvenile Court.